Here are shots of the setup for exhibition I just had. Before I start on the little story, a very large thank you goes to Thomas, Watanabe San, Jon and Koga San for letting me participate this year. Setup begins at 7pm on a Sunday night. As the previous exhibition is being taken down a team from the gallery sets up make-shift tables and begins setting up the new exhibition. You have the option of renting frames from Place M or bringing your own. In my case I rented the frames which proved to be a very practical idea. I came with prints and mattes ready which I turned over to the team. In short order they had my whole set framed and mounted. I was impressed with their efficiency. For the mounting to the wall they use a laser to ensure all images are mounted straight and at the same height. This makes the process super simple. Thomas chose to bring his own frames and Watanabe San had rented frames from another vendor. Turns out Watanabe Sans images only just fit the frames which meant struggling with the framing process somewhat. Thomas' big challenge was just to figure the layout of the images. And being French meant that this took longer than normal as one needs to throw ones arms around a bit, check lots of details in an animated way and mix up French, English and Japanese in explaining how thing's should be. There was a slight setback with Jon's prints when we realised that the gallery no longer had the frames that he planned to use. Lucky for us Thomas was using the same size frames and we could rent one from down the street so we had four of his six prints up on the wall from day one. Thomas turned up the next day at the opening and made sure the last two were complete. The whole setup took maybe one and a half hours after which the team proceeded to bring down a load of beer and food and eat right off the setup tables! Place M have a great system in place and the eating aspect makes the whole experience feel a bit of a family affair. What I learned from the whole event was ones exhibition needs more time and focus that I made this time around. I also learned that I should be listening to myself and not to everyone else when it comes to the details of exhibiting your own prints. I'm joining what should be four other photographers in a group exhibition this November. 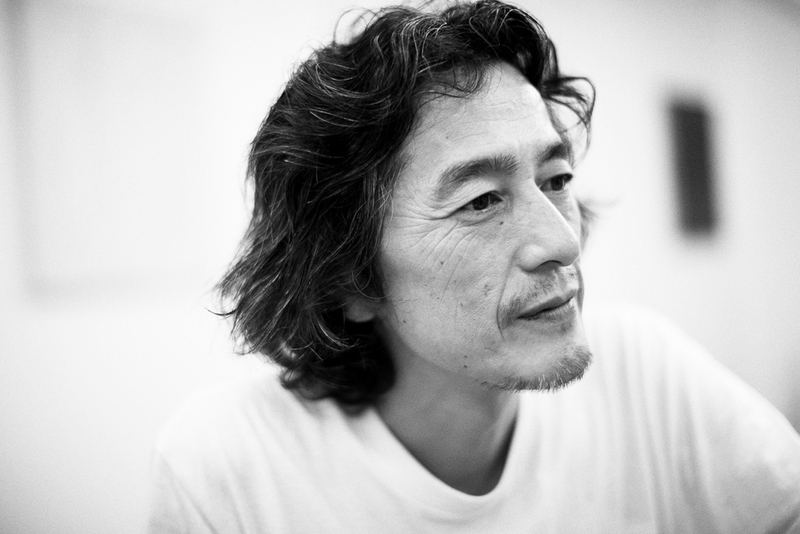 Unfortunately Koga san has had to drop out due to family reasons. 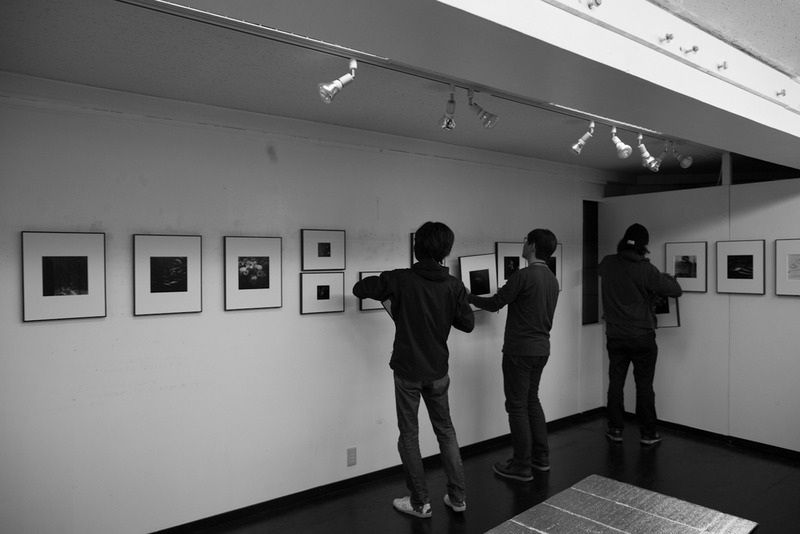 The Exhibition is called "Fragments of Tokyo" and will be held from Monday 12th November till Sunday 18th November. Above are the characters that are participating.